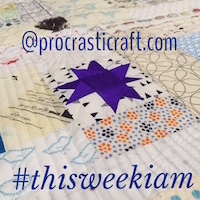 All through last year, I found myself drawn to the She Can Quilt FAL and the idea of creating a quarterly list to work through. I met Leanne at QuiltCon and had a blast with her and some of the LA MQG girls dancing at a honky tonk bar one night. Sorry, back to the point. Tonight I was reading a post over at Felicity’s (who I also met at QuiltCon, we dressed up in an insane way for 80’s night) and she mentioned the 2014 FAL. I wasn’t in the head space to commit to any goals in 2013 but this year is of course my #newhomenewyearnewhope so I’m going to link in with the FAL and set some goals, finish some stuff. 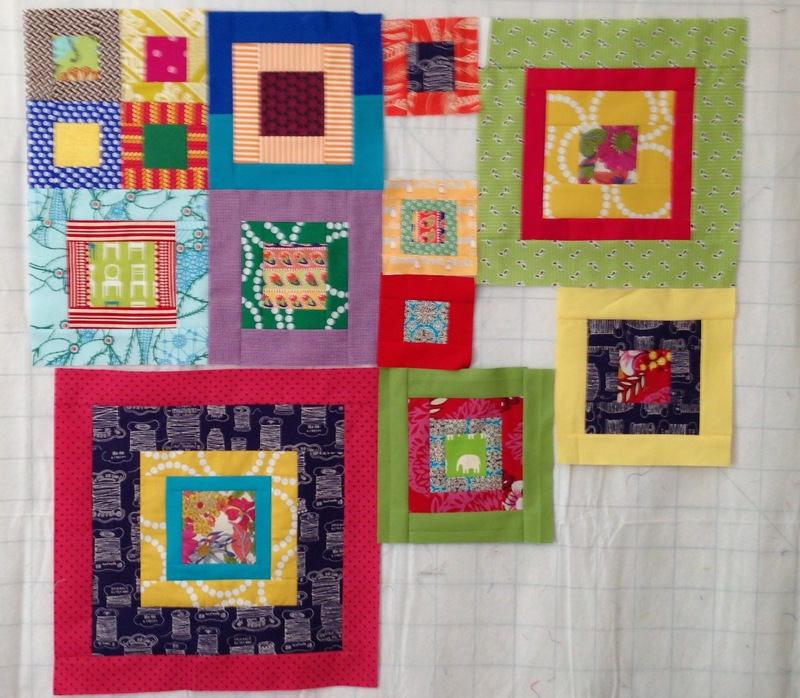 The first two projects I’m adding to the list are the improv one I shared yesterday and a happy colourful quilt using blocks I received from my month in the #ausmodbee (above). There are loads more in boxes somewhere but these two I know I can locate quickly. And really, do keep reminding me, I MUST use the camera more and the phone less, these pictures are hideous!!! 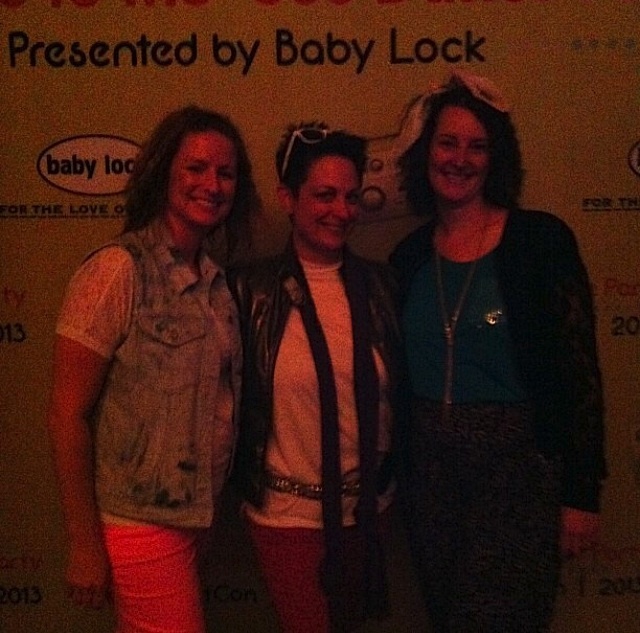 I just found this incredibly poor quality photo of Jaclyn, Felicity and me at the aforementioned 80’s party – a real sight for sore eyes! This entry was posted in Uncategorized on January 3, 2014 by procrasticraft. So glad you’re joining the FAL – it really is a great motivator! I think you will enjoy the FAL, I will be there too, I still have lots of thing to finish too. QuiltCon was fun, I love the picture. You have more to finish? Whoa, you are SO productive!! !